1 The request for a preliminary ruling concerns the interpretation of Article 9(1)(b) of Council Regulation (EC) No 207/2009 of 26 February 2009 on the Community trade mark (OJ 2009 L 78, p. 1). 2 The request has been made in proceedings between Loutfi Management Propriété intellectuelle SARL (‘Loufti’), on the one hand, and AMJ Meatproducts NV (‘Meatproducts’) and Halalsupply NV (‘Halalsupply’), on the other hand, concerning an alleged infringement of two Community trade marks registered by Loutfi. – Community trade mark No 10217198, filed on 24 August 2011 and registered on 8 January 2012 for goods in Class 29 (including meat, fish, poultry and game) and in Class 30 (including sugar, bread, pastry products and honey) of the Nice Classification, for the following sign combining the colours red, white and green. – Class 30 of the Nice Classification (‘Prepared dishes not included in other classes; coffee, tea, cocoa, sugar, rice, tapioca, … flours, cereal products, bread, pastry and patisserie products …, the aforementioned products prepared in accordance with Islamic precepts’). 7 Halalsupply has taken over the business of Meatproducts, including the latter’s trade mark portfolio. 8 Loutfi submitted an application for seizure on grounds of counterfeiting to the President of the Rechtbank van koophandel te Brussel (Commercial Court, Brussels) under Article 9(1)(a) and (b) of Regulation (EC) No 207/2009, for the purpose, in particular, of ‘Deko, Halalsupply and any party holding the products [sold under the mark EL BAINA], their packaging and related documents, being prohibited from disposing of them, on pain of a penalty payment’. 9 That application was granted by order of 5 April 2012. 10 By order of 31 July 2012 the President of the Rechtbank van koophandel te Brussel, in response to an application made by Meatproducts and Halalsupply, ordered the lifting of the protective measures granted under the order of 5 April 2012. 11 Loufti appealed against the order of 31 July 2012 to the Hof van beroep te Brussel (Court of Appeal, Brussels). 12 In its judgment the national court found, inter alia, that the sign considered refers to the same goods, or at least to similar goods to those identified in the two Community trade marks. 13 Furthermore, the national court observed that the goods marketed both by Loufti and by Meatproducts and Halalsupply are ‘halal’ products prepared in accordance with a ritual prescribed by the Muslim religion and, consequently, mainly intended for a Muslim public. 14 The national court concluded that the relevant public must, in the present case, be defined as being the public composed of Muslim consumers of Arab origin who consume ‘halal’ food products in the European Union and who have at least a basic knowledge of written Arabic. 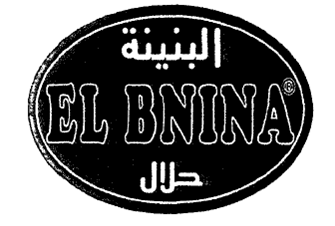 15 The national court notes that the word elements ‘EL BNINA’, ‘EL BENNA’ and ‘EL BAINA’, which are Arabic terms written in Latin script, are dominant both in the Community trade marks and in the sign considered as are those in Arabic script, although those latter elements are less dominant than the former. 16 In addition, the national court notes that, while the Arabic words appearing in Latin and Arabic script on the two Community marks and in the sign considered present a certain visual similarity, it remains the case that the pronunciation of those words in that language differs substantially, as does the significance which each holds. 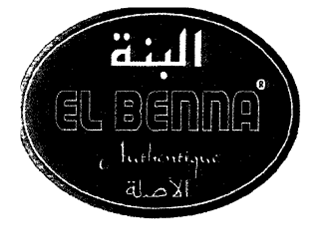 In that regard, the national court states that in that language ‘el benna’ means ‘taste’, ‘el bnina’, ‘softness’ and ‘el baina’, ‘sight’. 17 Having regard to all of those matters, the national court concludes that the examination of the likelihood of confusion between the two Community marks and the sign considered can vary according to whether or not the meaning and the pronunciation of the word elements in the Arabic language, in both Latin and Arabic script and contained in each of those Community marks and in the sign under consideration, are taken into account. 19 By its question the national court asks, in essence, if Article 9(1)(b) of Regulation No 207/2009 must be interpreted as meaning that, in order to assess the likelihood of confusion which may exist between a Community mark and a sign which cover the same or similar goods and which both contain a dominant Arabic word in Latin and Arabic script, those words being visually similar, in circumstances where the relevant public for the Community mark and for the sign at issue has a basic understanding of written Arabic, the meaning and the pronunciation of those words may or must be taken into account. 20 It should be noted at the outset that Regulation No 207/2009, and in particular Article 9(1)(b) thereof, do not make reference to the use of any particular language or alphabet which should or should not be taken into account in assessing the likelihood of confusion which might exist on the part of the public. 21 The likelihood of confusion must in particular be assessed by reference to the perception of the relevant public, which consists of average consumers of the products or services in question, who are reasonably well informed and reasonably observant and circumspect (see, to that effect, judgment in Henkel v OHIM, C‑456/01 P and C‑457/01 P, EU:C:2004:258, paragraph 35 and the case-law cited). 22 The determination of the relevant public and the finding of the identity or similarity of the goods and services covered by the Community trade marks and the sign considered, stem from the factual assessment that the national court must undertake. In the present case, the national court has found that the relevant public must be defined as being the public consisting of Muslim consumers of Arab origin who consume ‘halal’ food products in the European Union and who have at least a basic knowledge of written Arabic. In addition it has held, as is apparent from paragraph 12 of the present judgment, that the goods covered by the two Community marks and the sign considered are identical or at least similar. 23 As to the likelihood of confusion on the part of the public that may exist between the Community marks and the sign considered, according to the settled case-law of the Court the existence of such a likelihood must be appreciated globally, taking into account all factors relevant to the circumstances of the particular case. That assessment includes a visual, aural or conceptual comparison of the signs at issue, bearing in mind, in particular, their distinctive and dominant components (see, to that effect, judgments in Aceites del Sur-Coosur v Koipe, C‑498/07 P, EU:C:2009:503, paragraphs 59 and 60, and XXXLutz Marken v OHIM, C‑306/11 P, EU:C:2012:401, paragraph 39). 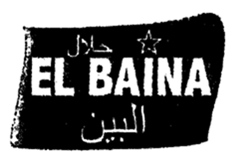 24 In this case the national court has held that the word elements ‘EL BNINA’, ‘EL BENNA’ and ‘EL BAINA’ were dominant both in the two Community trade marks and in the sign considered, as were, to a lesser extent, the words in Arabic script. It has also indicated that while visually those verbal elements presented a certain similarity, it followed from the documents lodged before it by Meatproducts and Halalsupply that the pronunciation and meaning of those word elements differed substantially. 25 It follows from the above that those phonetic and conceptual differences should be taken into account because, if they are not, the assessment of the likelihood of confusion could be made only partially and, as a result, without taking into account the overall impression made by the Community trade marks and the sign considered on the relevant public. 26 Therefore, the answer to the question referred for preliminary ruling is that Article 9(1)(b) of Regulation No 207/2009 must be interpreted as meaning that, in order to assess the likelihood of confusion that may exist between a Community trade mark and a sign which cover the same or similar goods and which both contain a dominant Arabic word in Latin and Arabic script, those words being visually similar, in circumstances where the relevant public for the Community mark and for the sign at issue has a basic knowledge of written Arabic, the meaning and pronunciation of those words must be taken into account. 27 Given that the reply to the question referred for a preliminary ruling can be inferred from the wording of Regulation No 207/2009 and the case-law of the Court relating to that regulation, it is not necessary to examine the possible effects of the provisions of the Charter of Fundamental Rights of the European Union on that reply.